Winner of 3 US Open Gold Medals! This stunning paddle includes all the best, highly sought after qualities coveted by advanced and professional players. 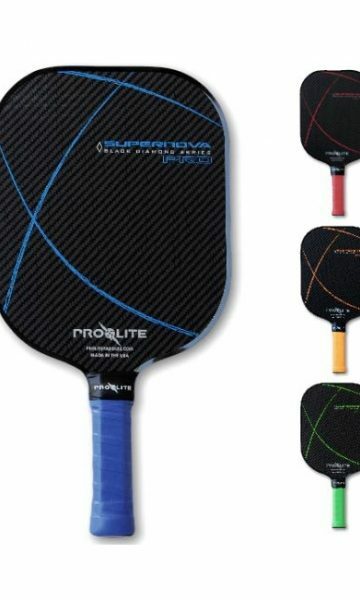 From its beautiful, 100% carbon fiber surface – perfect for finesse shots and enhanced spin, to the durable QuadCore™ polymer, honeycomb core – resulting in longer life and an ton of power – the SuperNova is set to be a dominating tool that will enhance play skills on any pickleball court. Supernovas are defined as a star that explodes and becomes extremely luminous in the process, Even more compelling, scientists theorize that Black Diamonds (found in Brazil) originated in space from the debris of a supernova. 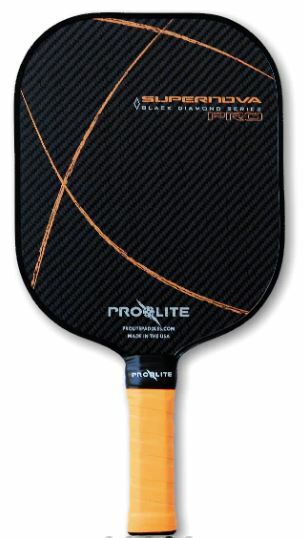 This paddle is a beautiful and rare find among the common paddles in today’s market. The SuperNova Pro paddle was designed to enhance ball control and power through alterations to its weight and balance. 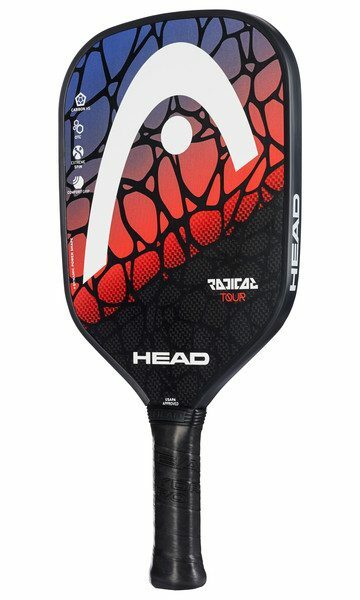 The goal was to keep a similar feel to a tennis racquet and make the grip longer for a two-handed backhand. 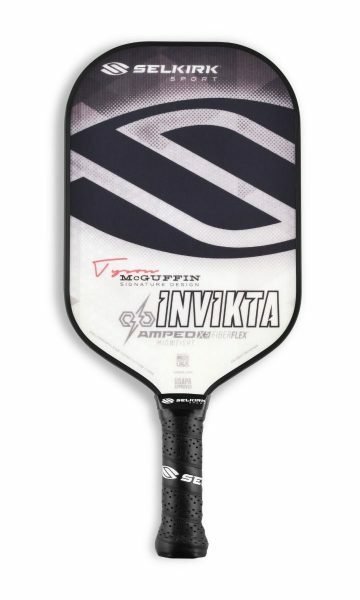 But there’s more to this new paddle than just a longer handle. 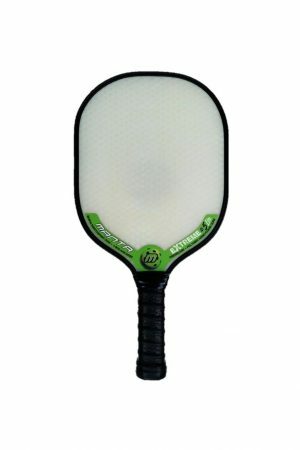 Perfect for tennis players transitioning to pickleball, the SuperNova is slightly heavier than the average pickleball paddle and balanced similarly to a tennis racquet. 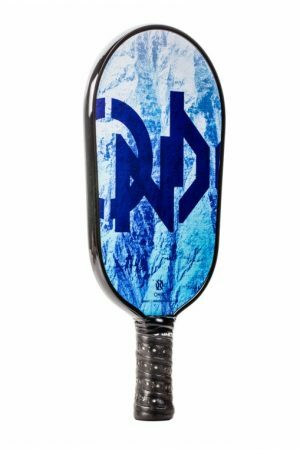 Made of the same material as the Titan Pro, the SuperNova’s playability is scientifically proven. The one-of-a-kind, carbon fiber paddle face “grabs” the ball, despite its glossy smooth surface. 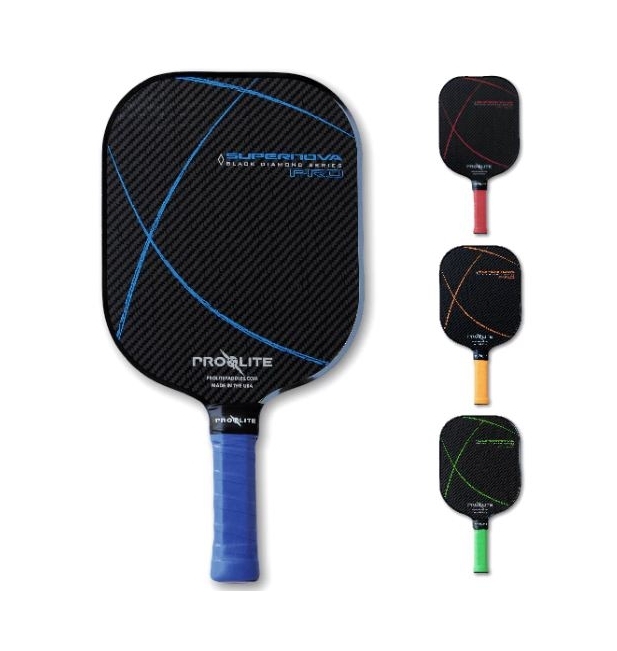 Heat, direction of the fibers, pressure, velocity and impact all affect ball control resulting in a superior user experience. 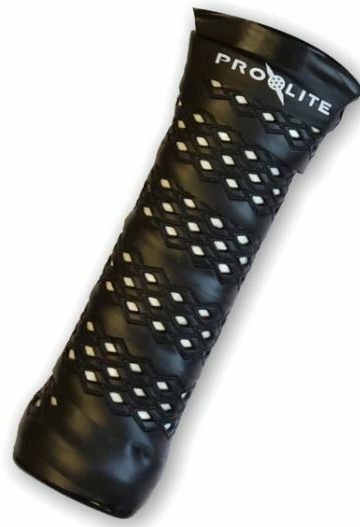 NOTE: These paddles are shipped with a Thin Grip BUT we ship a Pro-Lite Diamond Powergrip with each paddle, an $11.95 value! SELKIRK AMPED INVIKTA – NEW MODEL!